A New York City crowd of bar enthusiasts will be celebrating this New Year’s Eve at Public House—the most feel-good, classic American bar in New York City. 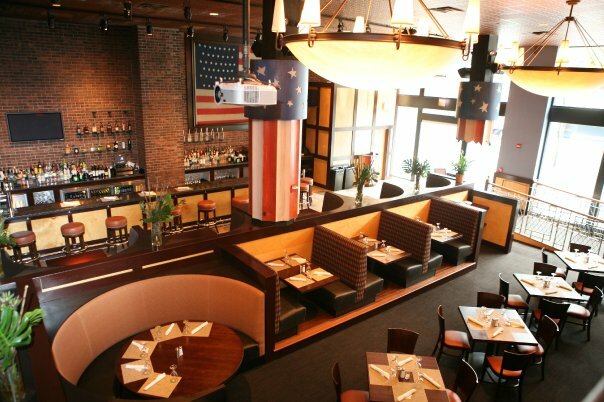 Light it up the American way this New Year’s Eve at Public House in New York City. Buy tickets to this fun NYE party today. 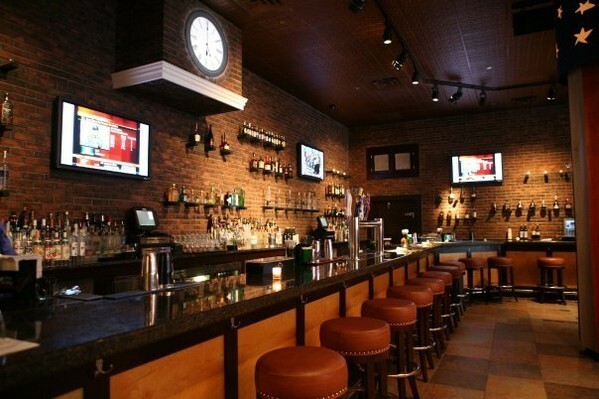 Public House in Midtown is the perfect place to end the year and kick off the New Year with a bang. Mosey your way over to Public House’s jaw-dropping 100-foot bar at Public House and drink to your heart’s content at their 5-hour premium open bar. With their giant clock permanently set at 5pm, it’s always a happy hour at Public House, and we know you’ll be happy when you hear about their complimentary early evening lite fare that’ll keep you buzzing and moving all night long. A live DJ will blast your favorite Top 40, Hip Hop and Dance hits all night long, and once the clock gets closer and closer to midnight, the DJ will rally the crowd and get everyone ready for a live midnight countdown. Each party guest will receive a complimentary glass of champagne for their rowdy New Year’s Eve toast, courtesy of Public House. Catch a breath-taking look at the New York City NYE Ball Drop in Times Square on any of Public House’s flat screens, and you’ll never miss a single moment of the NYC New Year’s Eve action. If you’re looking to add a little red velvet rope to your red, white and blue New Year’s Eve, reserve one of Public House’s VIP ticket Packages that offer reserved seating in the Burgundy Room or on the Mezzanine, and swanky Table and Bottle Service, perfect for couples and groups. 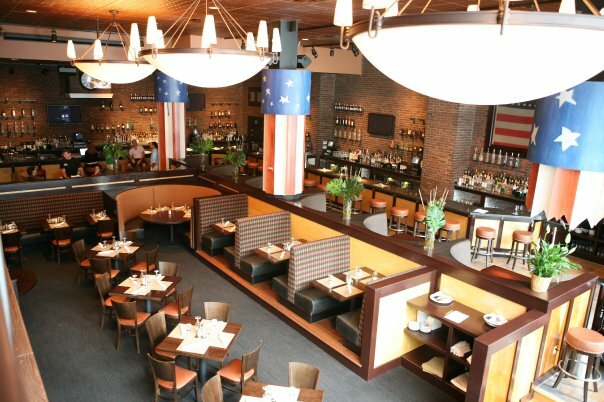 Conveniently nestled in Midtown and a swift block away from New York City’s Grand Central Station, Public House will razzle-dazzle you in red, white and blue this New Year’s Eve. 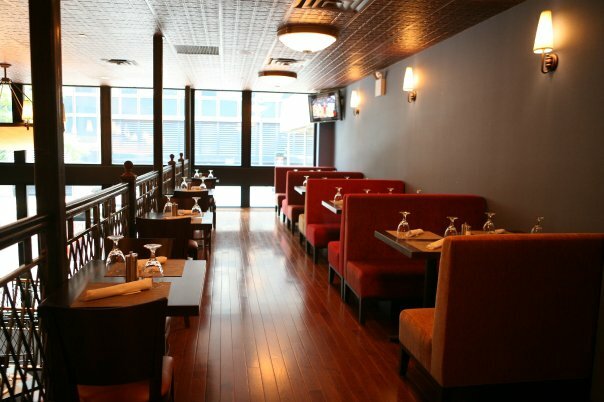 Public House boasts a sophisticated crowd, spacious bar, private lounge and separate dining area in a relaxed atmosphere. It attracts patrons that are looking for elegant food in a vibrant, energetic environment while featuring a Manhattan rarity: a 100-foot bar. Their hulking amber lighting fixtures give the cavernous brick-walled space the feel of a train station. 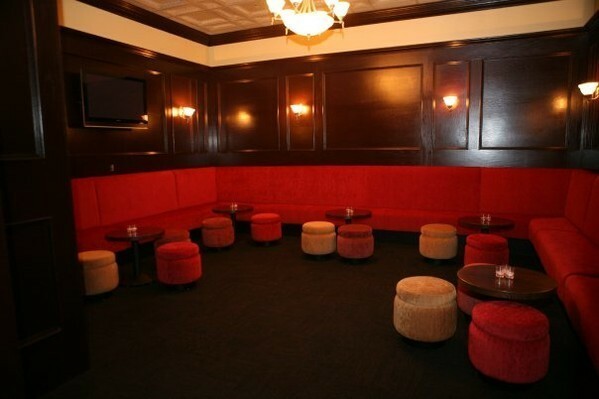 Plush red banquettes and two VIP rooms makes this one high tootin’ pub. The Burgundy Room, a small private lounge, and the upstairs Mezzanine will allow you to go the extra mile and reserve a table in one of the two VIP rooms this New Year’s Eve! 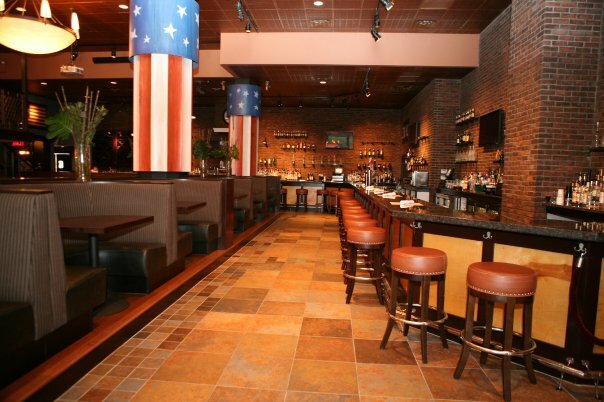 Check the last to-do off your list this year and get on over to Public House for New Year’s Eve. 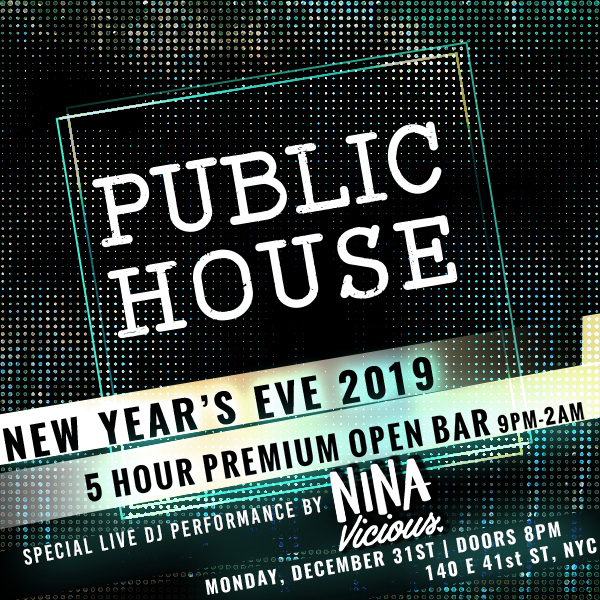 Public House is New York City’s favorite American bar and restaurant, and this New Year’s Eve, it’ll be your favorite too. This ticketed event is not to be missed.